A noteworthy number of buy to let landlords in Britain plan to buy more properties over the next year notwithstanding the frustrations, challenges and seismic changes in the private rented sector. According to Aldermore, the specialist buy to let lender, their research shows around 41% of portfolio buy to let landlord’s objective is to grow their buy to let portfolio (Portfolio landlords are landlords that own more than one rental property). 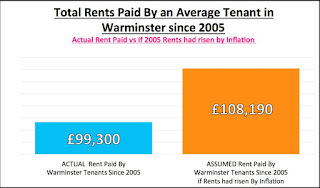 So, I thought, “Are Warminster landlords feeling the same?” If so, if these numbers were applied to the Warminster private rental market, what sort effect would it have on the Warminster property market as whole? Talking to the landlords I deal with, many are feeling optimistic about the future of the Warminster rental market and the prospect it presents even with the doom and gloom prophecies that the property market will shrink. 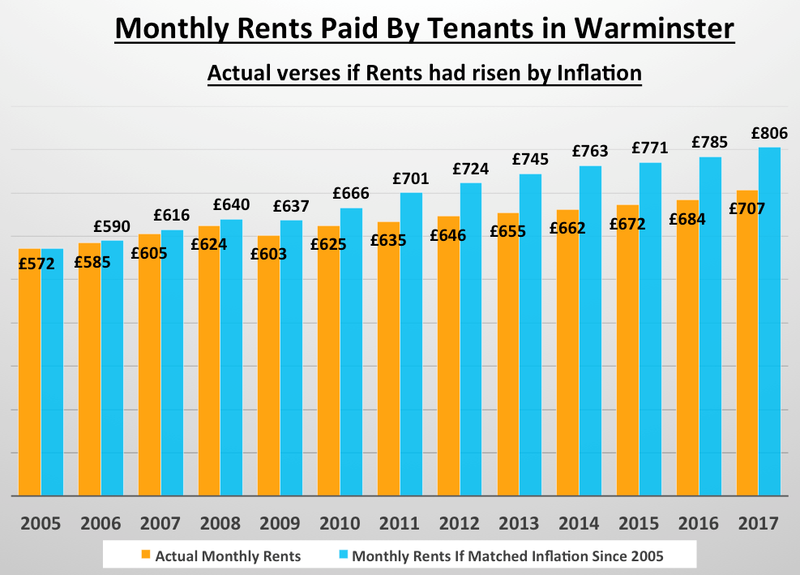 Many of those landlords who are looking to enlarge their portfolio are doing so because they still see the private rental market as a decent investment opportunity. 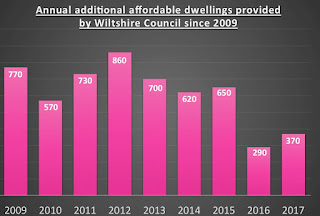 With top of the range Bank and Building Society Savings Accounts only reaching 1.5% a year, the rollercoaster ride of crypto currency and the yo-yoing of the stock market, the simple fact is, with rental yields in Warminster far outstripping current savings rates, the short term prospect of a readjustment in property prices isn’t putting off Warminster landlords. The art to buying a Warminster buy to let investment is to buy the profit on the purchase price, not the anticipation of the future sale price. No matter what the historical economy has thrown at us, with the global meltdown in 2008/9, dotcom crash of 2000, ERM in 1992, the three day week, oil crisis and hyperinflation in the 1970’s (the list goes on) ... the housing market has always bounced back stronger in the long term. That’s the point ... long term. Investing in buy to let is a long-term strategy. 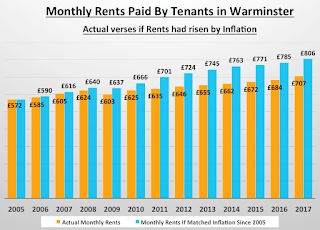 The simple fact is, over the long term with the increasing demand for rental properties, predominantly among Millennials as many cannot afford to get on the property ladder, and with councils not building enough properties of any kind, many youngsters are having to resort to the private rental market for their accommodation needs. So, what of the numbers involved in Warminster? There are 264 landlords that own just one buy to let (BTL) property in Warminster and 575 Warminster landlords, who are portfolio landlords. 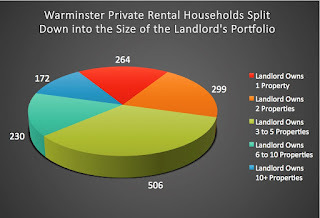 Between those 575 Warminster portfolio BTL landlords, they own a total of 1,207 Warminster BTL properties and they can be split down into the size of landlord portfolio in the graph below…. If I apply the Aldermore figures that means 236 Warminster landlords have plans to expand their BTL portfolio in the coming year or so. I would say there is no arguing that the buy to let market has taken a bit of a beating, thanks to a plethora of Government regulation, new mortgage underwriting rules in 2014 and George Osborne’s tax changes. Yet there still remains an overall consciousness of optimism among the vast majority of landlords. Despite these latest changes, many landlords still view buy to let as a good investment. If you want to buy right and assess your own portfolio on the yield/capital growth seesaw ... drop me a note. 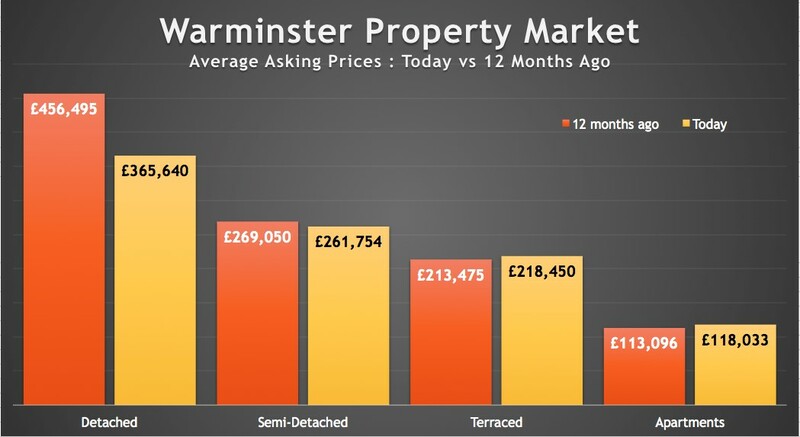 The average asking price of property in Warminster dropped by 10.9% or £34,288 compared to a year ago, taking the current average asking price to £280,949 compared with £315,237 this time last year. The overall drop in asking prices is being put down to sellers being more realistic with their pricing and looking to benefit from the impending mortgage interest rate rises which are likely later in 2018. This is great news for first, second and third time buyers in Warminster starting their property hunting in the active late spring / early summer market this year. Even better news is that whilst first time buyers also have to pay less for their property, they also have the bonus of the Chancellor stopping Stamp Duty being paid by first time buyers! Interestingly, when one looks at the percentages, the most movement in average asking price pressure is in the detached property type sector. Now, I must stress this overall drop in the asking prices of Warminster property doesn’t necessarily mean the value of Warminster property is going down by the same amount. 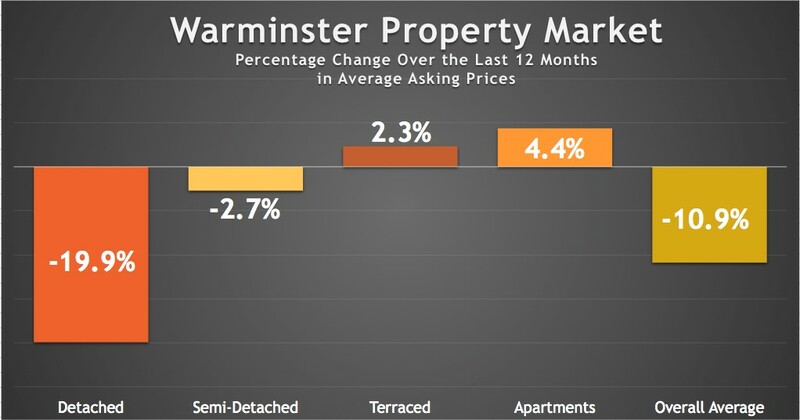 Only time will tell if the current levels of Warminster asking prices is a correction of optimistic house sellers after a couple of months of over enthusiastic asking price rises, or is it an initial sign that property values are slipping. To judge what is really happening to the Warminster property market, I believe these asking prices must be viewed in conjunction with both the values achieved and the length of time it takes to sell the property. Also, these figures are averages, so it might also mean less expensive types of Warminster semi-detached or Warminster detached, are on the market now, this dragging the average down, compared to a year ago. 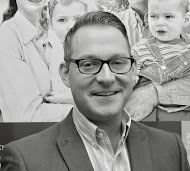 One thought I would like to share with the Warminster homeowners and landlords wanting to sell their property, is the fact they need to be aware of the competition of other people selling their homes. One factor that could be contributing to a subdued demand for local property is the progressively strained buyer mortgage affordability (i.e. banks telling people they can only afford so much on a mortgage), meaning more and more buyers are hitting their maximum on the amount they are able to borrow on a mortgage sooner than they thought. 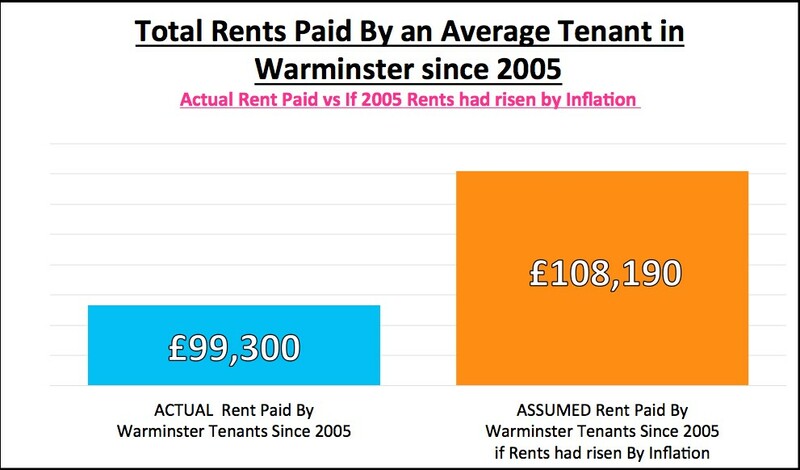 So, what does this all mean, especially for buy to let landlords in Warminster? During these months of flux, there could be some property bargains to be had. Lower asking prices mean you are buying in better yields and potential capital growth at the same time. Many Warminster landlords pick the phone up or email me with Rightmove links, asking my opinion on the BTL potential of property. I don’t charge for that service, so if you don’t want to miss out, follow what they do and make contact ... I don’t bite!